I am at home near Kalamata, and it is Thursday as I write. But on Sunday I was in Athens, and staying with my youngest son, daughter-in-law, and grandson Orestes. That morning I woke to an empty house, for newly baptised Orestes had been taken early to the local church: Sunday was the Feast Day of Tou Stavrou, the Exaltation of the Honourable and Life-Giving Cross, one of Orthodoxy’s Twelve Great Feasts. Church was packed, Nina said on their return. I should have remembered the day. I should have remembered the lessons Aphrodite, my late mother-in-law, taught me so long ago. But there was so much to learn. I had been raised Presbyterian: when I told this fact to a Catholic friend of mine, resident in Greece for many years, she said with a startled look: ‘Greek Orthodoxy must have come as a blow between the eyes, then?’ Well, not quite, but perhaps it wasn’t far off. My Nonconformist grandmothers did not have a clue about the Orthodox pattern of Feast and Fast, and would not have approved of it, anyway. (I can still almost hear them creaking and groaning in their graves every time I light a candle, even though they should be well used to this practice by now.) They were firm in their belief in a personal connection with the Almighty: no intermediary or fuss was ever necessary. A nominal sacrifice (coffee, chocolate) during Lent was the only formal requirement. One of the first of Aphrodite’s lessons, however, concerned the amount of fasting or abstinence that went on, for more than half the Orthodox year involves abstinence of some kind. Aphrodite swore me to secrecy on the one occasion I saw her eat meat on a Wednesday, the day that commemorates Judas’s betrayal, and of course she never ate meat on Friday. The forty day period before Easter involves a gradual diminution of animal products in the diet, and there are lengthy fasts before Christmas, the Feast of the Dormition of the Virgin, the Beheading of St John, and again before Tou Stavrou, which is the name-day for all those called Stavros or Stavroula. I make my way to the Cathedral of Athens as Autumn is advancing. Dry leaves are falling and crackling underfoot, while the delicate pink and white fronds of the Smyrna acacia are withering. The Cathedral is not at its best, for extensive repairs and renovations are taking place. But two important shrines lie undisturbed on either side aisle within the building. One large white marble coffin, decorated with gold and topped by a crown, houses the mortal remains of Patriarch Gregory V, hanged on the order of Sultan Mahmud II at the time of the outbreak of the Greek War of Independence. The other shrine is that of St Philothei, patron saint of Athens. Nun, educator, and philanthropist. She lived and worked in the sixteenth century, and she, too, was killed by the ruling Ottomans. Her body lies in a casket sumptuously decorated with rubies and pearls, which is paraded through local streets on her name-day, February 19th. In pride of place on this feast day, a modest silver cross lies in a glass case; the cross is surrounded by leaves of basil, the plant that was supposedly found growing on the True Cross when it was discovered by St Helen in 326. 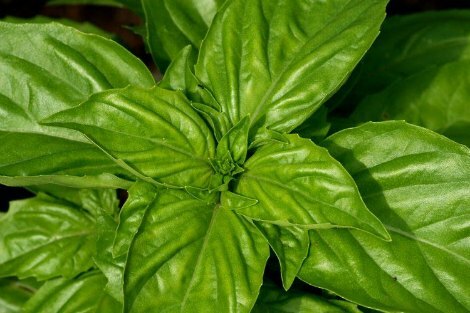 The word basil means king, the plant is considered the king of herbs, and bunches of it are always used in the sprinkling of holy water. I light a candle. And think, as usual, of many people and many things. And also as usual, I accept the fact that I don’t know precisely why I am lighting a candle, or why, on this occasion, I am in the Cathedral of Athens. But there I am, pondering the martyrs and my grandmothers, all of whom were convinced of the power of the Cross. All of them belonged, in their time, to a simpler world, one in which there was far less self-doubt, far less questioning of belief. I know that envy doesn’t do, but for a brief moment I envied them their certainty. Thanks Gillian, I always enjoy reading your wonderful writing. I must admit when I think of 'basil' it's always about 'Basil Fawlty' and not the herb! I think Greek Orthodoxy would be quite a challenge for me. There does sound much beauty and reverence in that particular pathway. As for certainty - there are times when I wish it would visit a bit more often. Thank you Gillian. Please keep writing. I vividly remember visiting the Orthodox Cathedral in Athens ( the Catholic Cathedral of St. Dionysius was sadly locked) - it reminded me of St Francis Church in Melbourne. I have been teaching catechetics to children in our local public school and am lead to reflection on the appreciation of the familiar things of life, basil, mint,candles in sensitizing children to their spiritual selves and ultimately openness to faith. Gillian, thankyou for your sensitive article. It is true; the beauty and charm found in the complexities of Greek Orthodoxy; yet the seductiveness of this can easily serve to substitute and drown the simpler Christlike precepts followed by your grandmothers in living out their lives. Therefore I believe these nonconformists had a point in their no fuss like and personal affinity with the Logos. A beautiful and highly evocative piece Gillian. I think many people, like your mother-in-law, sometimes fudge it as far as rules and regulations go: a rather human touch. Thank heavens they do! Denis Quinn adds a useful note. So often, when we need it, the (literal) cathedral is closed. I think earlier Christians - like your ancestors - would not have worried too much about that. That is also a good thing. Curious to know more about basil, my favourite herb in terms of aroma, flavour and symbolism, I discovered that it has a fascinating cultural lineage, having been grown in Egypt 4,000 years ago and possibly used there in embalming. Native to India, where it was sacred to all gods, it was planted around temples and placed with the dead. It is also a love token in some cultures, and is planted on graves in Iran, Malaysia and Europe, according to the source. I had often noticed pots of basil on windowsills in Greece, but the same source claims it was considered an emblem of the devil in Crete and placed on windowsills to avert evil. It was also believed, I'm not sure where, that basil was a proof of chastity, and would wither in the hands of the impure. A potent plant indeed! .....oops!...sorry,spelling mistake-I meant ''incense''-how could I do that.......Evangelia..